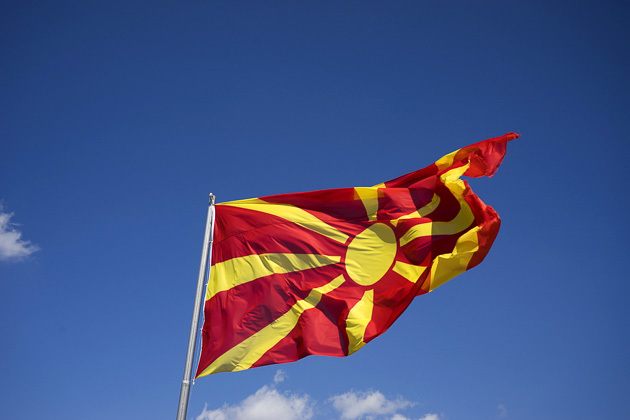 Stretched out along the Vardar River, Skopje is Macedonia’s capital and by far its largest city. Well-connected to the rest of the country by highway, bus and train, and boasting a considerable number of museums, restaurants, and historic sights, it was the obvious choice as our base of operations. 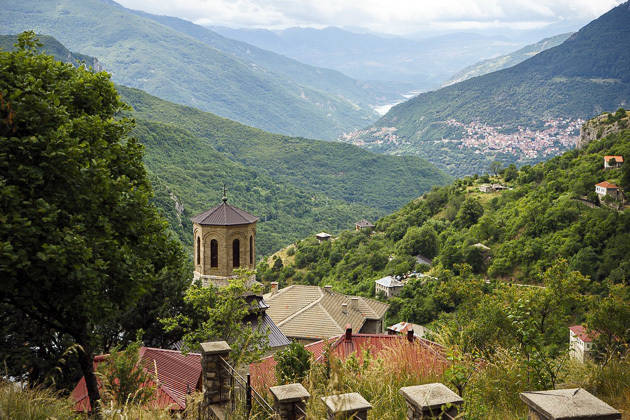 Stretched out along the Vardar River, Skopje is a long and narrow city whose expansion to the south is hindered by the presence of Mount Vodno. 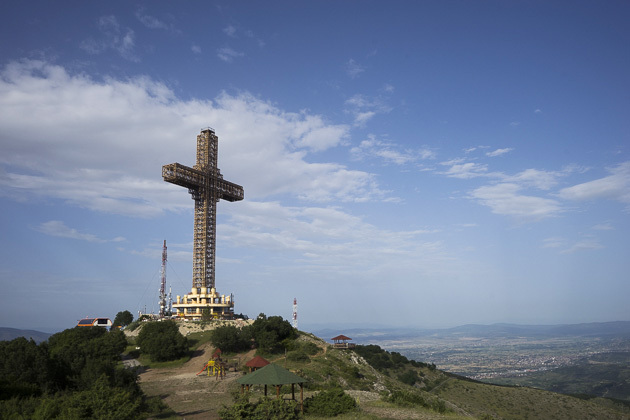 We took a cable car to the mountain’s summit for a close-up look of the Millennium Cross, and for a birds-eye view over the region. 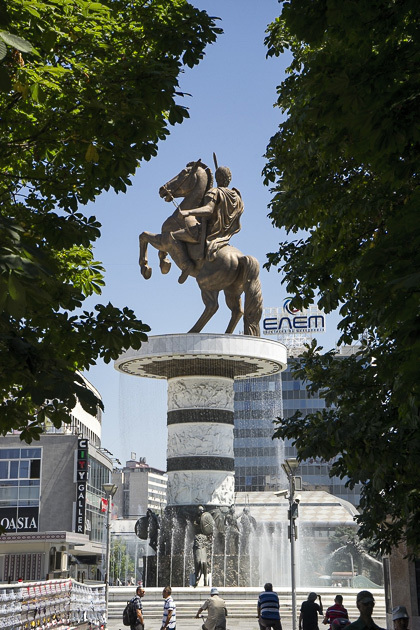 Skopje has only been the capital of an independent country for around twenty years. That’s nothing in comparison with the 520 years it spent as part the Ottoman Empire, a period during which it was known as Üsküb. Five centuries of Muslim rule were enough to leave a lasting impression. 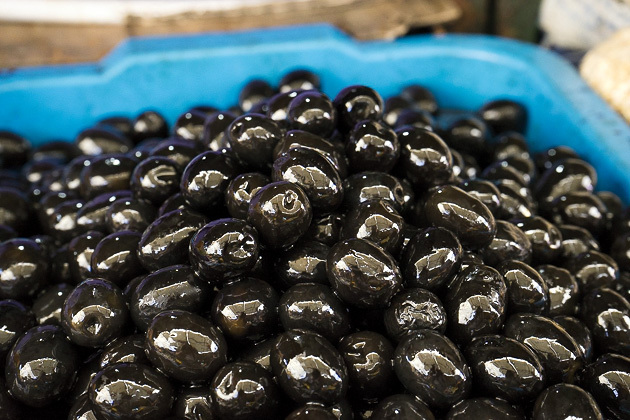 With mosques, bath houses, tea gardens, nargile cafes, and the sound of dice rattling across backgammon boards, the neighborhood known as the Old Bazaar, or &Ccaron;aršija, has retained much of its Turkish identity. 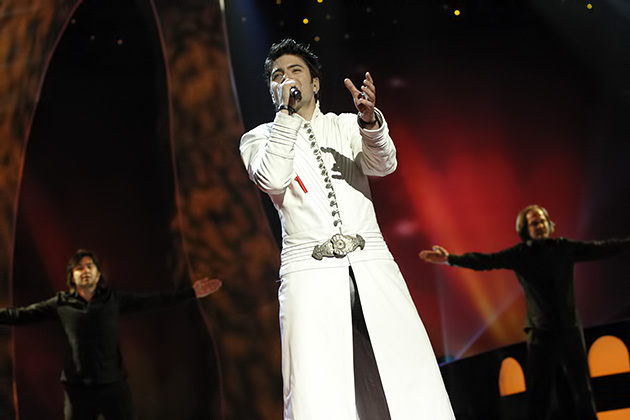 Toše Proeski is easily the biggest pop star in Macedonia’s history, having racked up a string of number one hits between 1999 and his untimely death in 2007. He was raised in the town of Kruševo, where his memory is kept alive with statues, street art and an unbelievable museum. 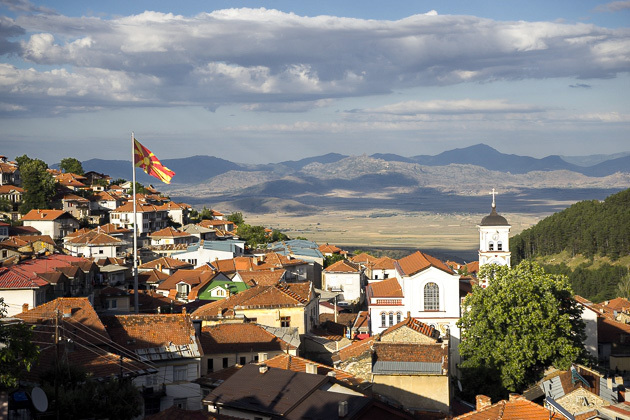 Found a couple hours to the south of Skopje, Kruševo was the destination of our first extended road trip in Macedonia. 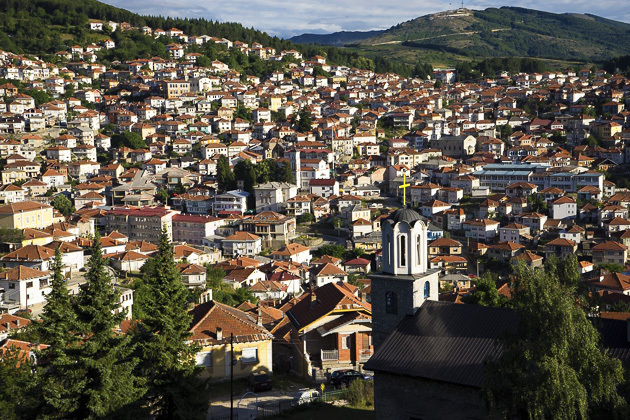 The highest town in the Balkans, Kruševo boasts an impressive natural setting, and was the scene of one of Macedonia’s most fascinating historical moments. Skopje’s got construction fever, there’s no denying it. 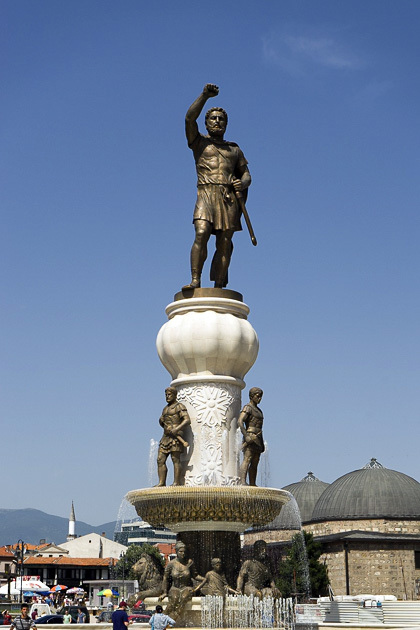 Statues and monuments have sprouted up like weeds in the city’s parks, and the banks of the Vardar River have been given over to glorious new museums and government buildings. It’s all part of Skopje 2014, an ambitious urban revival project. Whether you’re in the market for fresh fruit, cheap clothing, or simply a rollicking good time, head over to Skopje’s Bit Pazar, at the northern end of &Ccaron;aršija. 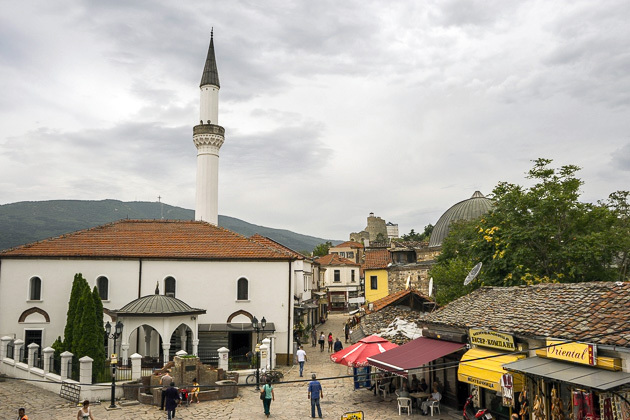 This is one of the largest outdoor markets in the Balkans, with a history dating back to the 14th century, when Skopje was firmly within the Ottoman Empire.